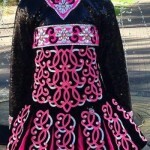 Beautiful Avoca Celtic Designs dress. It was $2000 new. Lots of Swarovski crystals, velvet, and sequins. It includes a black fascinator and card holder. 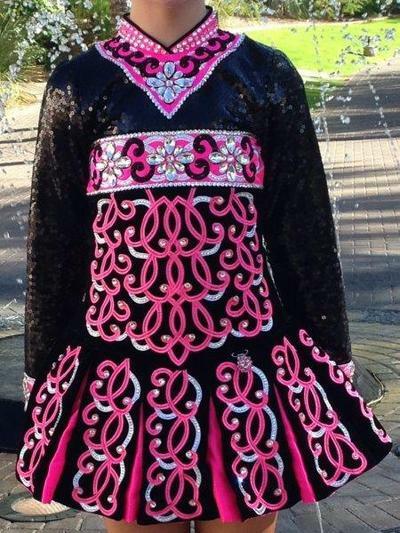 Very easy to dance in, great stage presence. Selling due to retirement of dancer. Very sad to let go. Asking Price: $US500. Shipping costs are not included in the asking price. Sale is final.